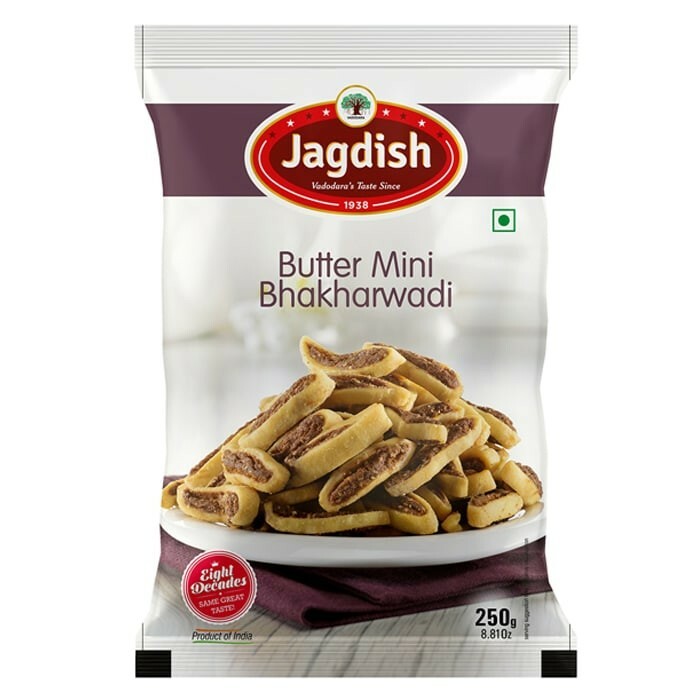 Buy Butter Mini Bhakharwadi of Jagdish Farshan from Vadodara online | Authentic Indian Sweet , Savories and Delicacies from the place they originate by Moipot. 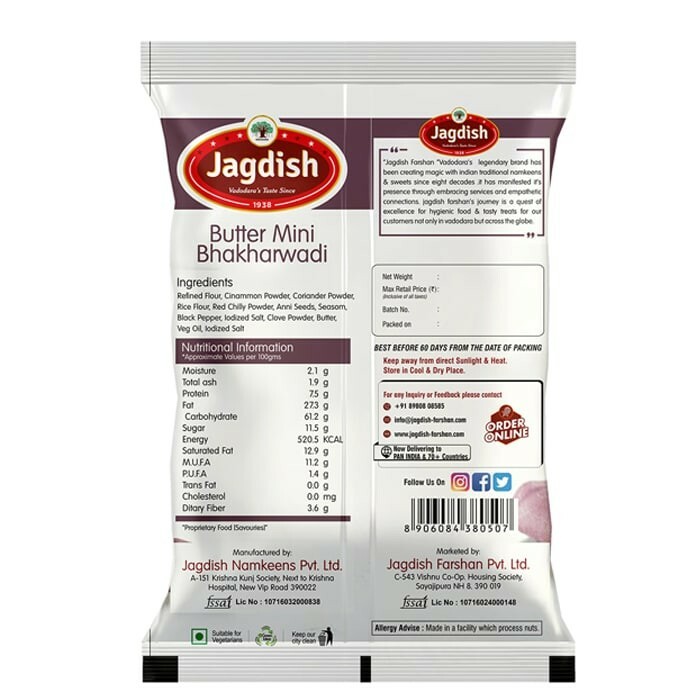 Delightful, inventive and classic goodness, the butter mini bhakharwadis by popular Jagdish Farshan is all what you need for that ideal party. 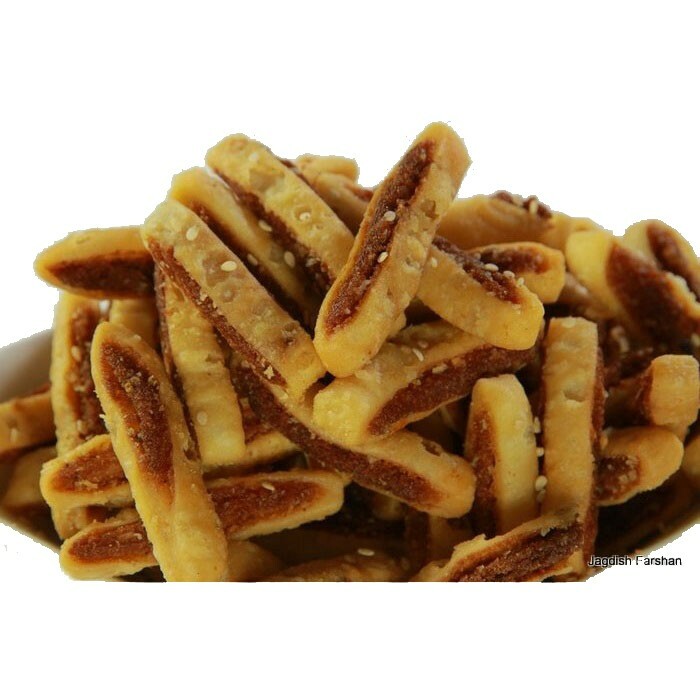 Tangy, spicy and soft inside but crispy outside, this finger-licking good snack has light buttery flavor which will leave you eating the whole bowl. Happy munching!